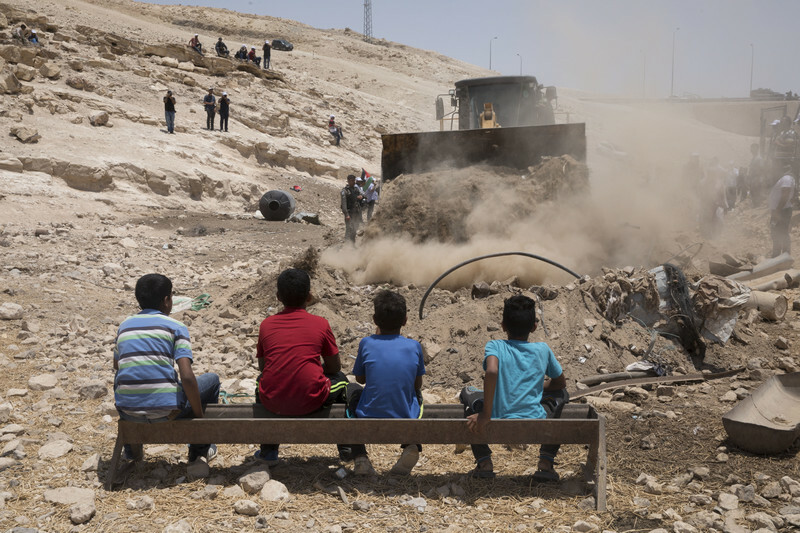 “The inhumane and immoral decision by Israel's High Court of Justice to green light the destruction of the village of Khan al-Ahmar located near occupied Jerusalem reveals Israel’s intent to erase and eradicate the Palestinian presence and continuity on the land. This is blatant ethnic cleansing and constitutes a cause for serious alarm. The demolition of Khan al-Ahmar and the forcible transfer of its roughly two-hundred residents, many of whom are children, set a dangerous legal precedent for the expansion of Israel’s illegal settlement enterprise, thereby giving clear license to the extremist settlers to embark on a land grab in the occupied West Bank with impunity. Such a process of displacement, destruction and oppression has been persisting for seventy years as the world remains silent and reluctant to impose sanctions against Israel. Failure to provide protection for the Palestinian people will lead to further acts of uprooting and dispossession and result in the total destruction of the territorial contiguity and demographic presence of the occupied West Bank (including East Jerusalem).